You are doing work that it was never possible to do in the past on this planet. Channeled by Genoveva Coyle. Greetings dearest ones! 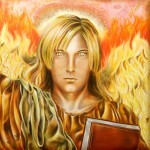 I am Uriel, Archangel of Love and Silver Flame, bringer of the future and truth, your friend and family. I am here today, as always, to bring you my flame of illumination and truth, my flame of hope, for what else can it be when you see the brightness and the magnificence of who you are. There are times when you doubt who you are, and whenever you get confused you tend to think of yourselves as having lots of karma and baggage to release and work with. And so you question yourselves and doubt that you could go on with these current missions of love and light. I am bringing to thee the Silver Flame to show you that part of your brilliant and magnificent self. I want you to see the power you hold in your hearts. I want to remind you that when you open fully to the love that you have, then there is no insurmountable task or darkness that will not be dissolved in an instant. 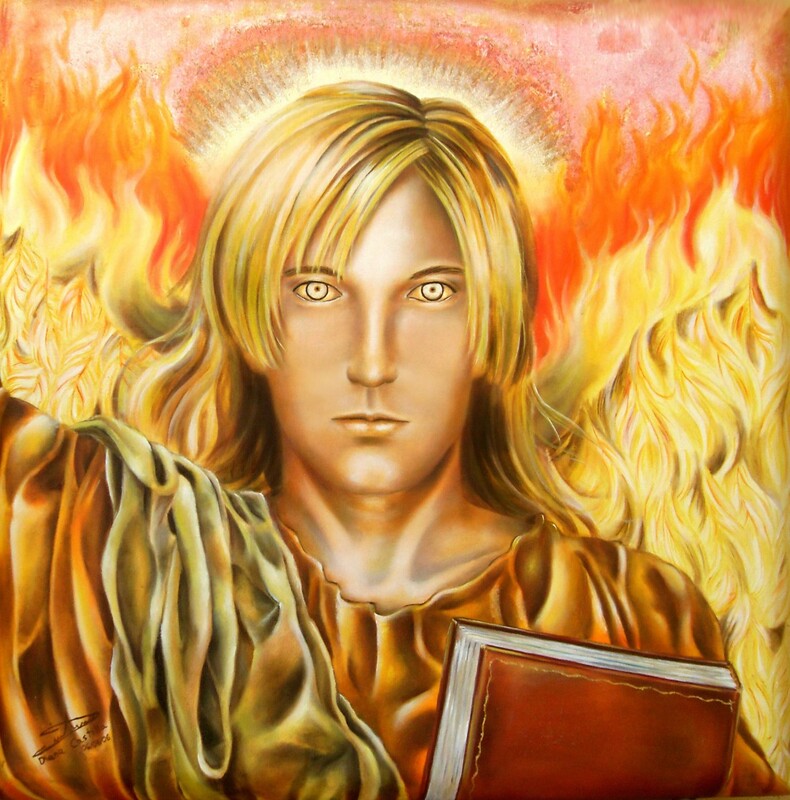 My flame can and will show you every part of you that you are ready to love and accept, and when you do so, then you will bring more light and acceptance to those same areas in the human collective without having to analyze the facts, and without any judgements. Many of you are doing most of the work of the light while resting your physical vessel and sleeping at night, while have dreams that give you very few clues as to how far and deep into the darkness you are traveling. Of course your daytime life and doings are part of your journey, and thus it seems a little more difficult to flow with your soul’s mission because your ego will try to interfere and remind you of the safety rules and limits that it wants to set for you. However, you are slowly remembering that the ways of the heart are gentle and easy flowing, without any limits, and that the ways of the soul are loving and compassionate, and that even a “no” can be said with kindness and a loving smile on your face. Accept that people, and the ones traveling with thee at this time, are exactly where they need to be so that you can be assisted by them, and/or you are helping them to go through their challenges and lessons just as you have planned before the descent into this dense third reality. Your dreams are not as lucid as you would want them to be because there is not much you want and need to recall, and this is exactly how you would want it to be. There is this tendency you have to feel “less than,” or that somehow you are being punished by being asked to focus on the less bright parts of selves and others, because you do need to do this cleansing and clearing type of work. You tend to diminish your light and confidence whenever you engage in this type of work in the shadows because your ego is trying to convince you that this is who you are, which is very far from the truth. And yet, this is only a piece of the puzzle that you have decided to focus and concentrate on, and to bring into balance within, for the benefit of the entire human collective. See this truth through your fourth eye. Let go of any judgments, and know that this is work that you have promised to do, work you have been doing for a long time, and it is only that now you are becoming more and more aware and conscious of how many hats you are wearing, and indeed, of how powerful you have become. Beloved brothers and sisters, you are doing a magnificent job, You are doing work that it was never possible to do in the past on this planet, so trust us when we tell you that whatever is being removed and cleansed, is cleared permanently and for good. I thank you my dearest and brave angels in form! I will close this message and leave you with my love and silver sprinkles of light. Farewell.